Ben Franklin walked by while we were shooting formals at the Second Bank near Independence Park, so naturally, we needed him in the photos! 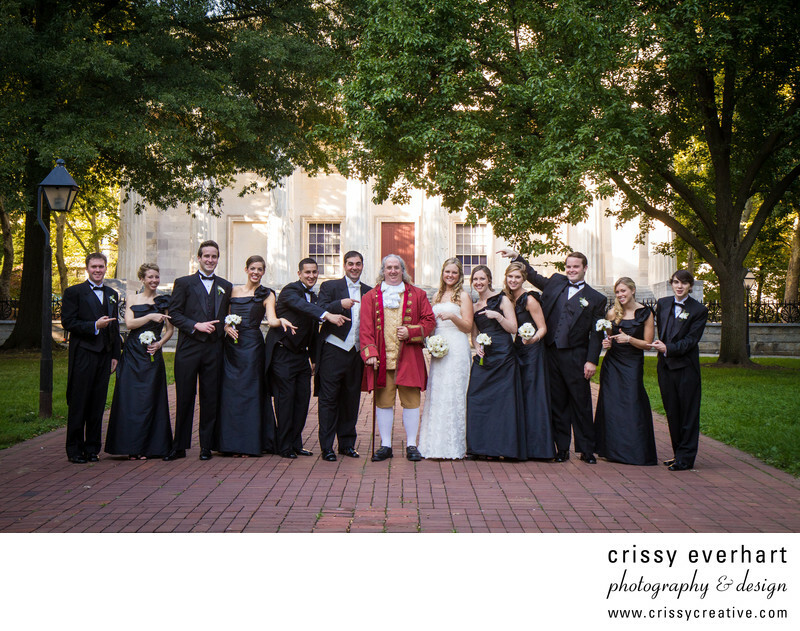 Old Ben happily posed with this wedding party for a fun bridal party image that most people don't have- one with Benjamin Franklin! He wears red and gold, standing out from the rest of the wedding party in black, and the bride, in white.